Dealing with clients that have past due on their accounts, can be difficult. Business owners are pulled in a lot of direction and it is possible that they are waiting for money to come through, and have good intentions to pay you. People have very busy schedules and it is possible that the payment may have been overlooked. Sometimes a monthly email reminder is a good way to ensure that the person is able to remember the payment. Another good option for loan companies is to have an online payment option available, that people are able to access when it is convenient for them. Some ways to make payment easier is to offer different payment options, such as being able to split the payment up over two payments monthly for example. Another way to make payment easier is to have either a fixed rate payment every month or the ability to make an advance payment. 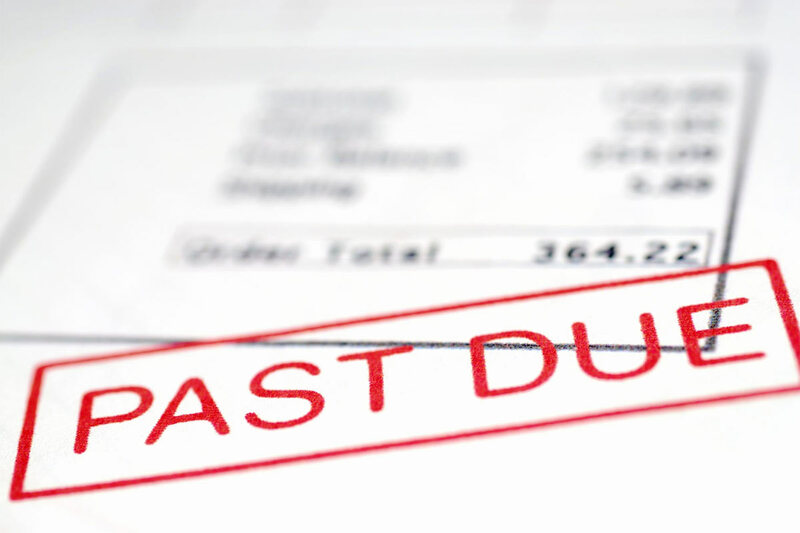 Try your best to avoid sending the overdue invoice to collections. Sending the account to collections wastes a lot of time and money. Working with the client during the time of past due payments can help you develop better business relationships. Your humble communication helps the client develop an understanding that you care about their situation and are willing to work with them. Try to offer your clients a financing solution. Link up with a secondary lender that can help your client’s pay off their debt, while providing them with a low-interest monthly payment. Chances are if they are past due with you, they are past due with other companies also. This solution is great for all involved, because it will help the client either pay off the debt in full, or pay a very considerable amount off, and it will keep their account out of collections. Train your entire company on the importance of maintaining on-time payments. Training should be focused on how on-time payments help your company run properly. Smart investing and working hard, is about providing a standard of life that you can enjoy now, and set your family up for a future of financial freedom. Investing in Universal Life Insurance It’s one of the smartest things you can do to secure your Financial Freedom now and in the future for your family. Universal life insurance is a more flexible option than other available life insurance plans. universal life insurance allows policyholders to vary their payment amounts And adjust their premium amounts and death benefit amounts Opera. There are two different components that make up universal life insurance they include the cost of insurance And saving component which is also sometimes called the cash value amount. Because of universal life insurance account carries a cash value, It is also able to earn interest based upon the current market values. a policyholder is able to pull money out of there universal life insurance plan without affecting the death benefit amount. This makes it a great option for everyone because if there is ever a time where you need some extra money for unexpected expenses you would have that available. There are other times where you may have a surplus of money you are able to invest that back into your plan however you see fit. There are no mandatory monthly payments and you are able to invest as little or as much as you would like depending on your Current financial situation. Universal life insurance has a number of benefits including but not limited to Income replacement, Mortgage acceleration, An alternative to term life insurance Pension maximization, And final expenses coverage. Greater Flexibility than other plans. You have flexibility in your policy amounts, the amount you pay each month, and the amount you borrow against the policy. You may be able to use Universal Life Insurance to supplement your important that’s important that by making this by making additional payments whenever you can. Any additional payments that you make will be turned into cash value after the cost of the insurance itself is covered. This makes universal life insurance plan a great option and a sense of security that when you retire or become unable to work that your expenses will be covered. The amount that you are able to pull from your universal life insurance depends on you. if you have made proper Investments back into your plan, it can help you in the future. The amount of cash available in the universal life insurance plan depends on two factors: how much money you invested in your plan, and current market value. Upon your passing, your family will be able to receive the death benefit from your universal life insurance policy. the cash amount available for the death benefit of your policy can be varied depending on your needs. there is flexibility available as far as raising and lowering the amount of your death benefit.